By pyrochild, September 19, 2007 in Plugins - Publishing ONLY! You can use the search function to search by name, author (if the author's name can be determined), submenu, or adjustments menu. This effect appears in the Advanced menu. Use this plugin to create scripts and compilations of all of your other Paint.NET effects, adjustments, and plugins. You can save, load, and share your scripts. :-D Thanks, Pyro! Good work. At first, I thought this let you put plugins into their own sub-menus, but what it really does is absolutely amazing. This has the potential to be the best plugin available for Paint.NET... If only it could access the Tools, Colors, and Layers (three of the four child windows). After a quick test, it appears that one action will overwrite another. 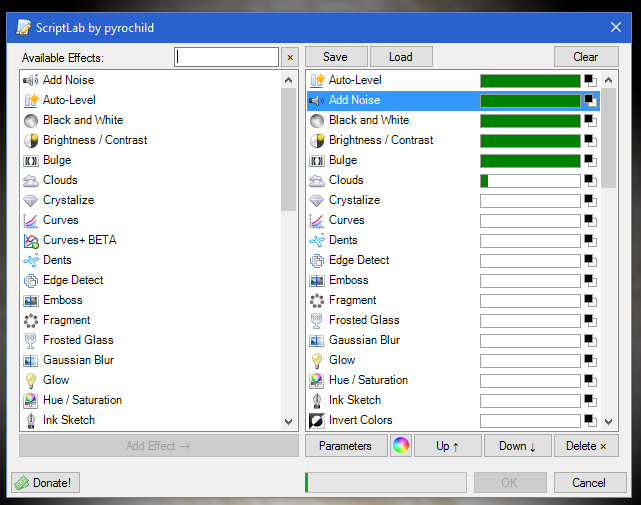 After the border is applied, the Brightness/Contrast settings you chose earlier (in ScriptLab) are no longer applied to the image. It looks as if you've never made any Brightness/Contrast adjustments. No. Keep in mind, though, that "Scripting and recorded actions" is on the roadmap for Paint.NET. When that's implemented, this plugin will be obsolete and your request may be possible. 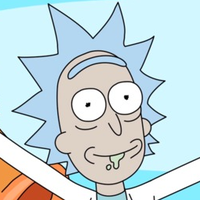 That's up to Rick, though. If by Borders you mean Borders N' Shapes, then that's actually due to my original bad coding in that plugin, not this one. A new version of Borders N' Shapes was released 2 days ago, and fixed the issue. Whow. this is just the BEST plugin EVER! i always wanted a plugin like this THANKYOU!!! Man, this plugin is a real time saver. This seriously simplifies a lot of repetitive tasks, pyro...much appreciated. this is cool, not sure how often I can use this but it is useful. thanks. This is amazing. It should be sticky'd. What I don't get: Why "advanced" submenu? Undoubtedly it is "advanced", but I think this belongs directly into "effects" like codelab. Or do you plan more "advanced" things? Next release of CodeLab will move it into the Advanced submenu. So, basically Advanced means "Script based plug-in's" in this case. The thing is, I don't get what this does. At all. What does it do, de-comiple a plug-in so you can see it's coding? This plugin allows you to create a group of effects and adjustments that run, with the same settings, whenever you run the script. For instance, if you often sharpen, recolor, and then glow your images, just put it in ScriptLab and reload it every time you want to use it. Yeah. This revolutionizes PdN. I vote for a sticky. This AWESOME plugin let us do something that people request a lot, but applied only on the effects. You start the ScriptLab and you see to your left a list of your plugins. Then you chose what of them you want and when you start them it's just they normal way around. When you have your setting for the plugin, it goes onto the right and starts the list of the thing used. The most amazing thing Is the way that SL renders out side the main canvas. And you can also move the list of used effects, and delete those you don't want, that it will render as if it was never there. Plug'n iz d best! It beats Curves+! I'd really like Rick to one day implement this plugin into Paint.NET, especially to allow access to actions like duplicating layers, flattening images, copying images, etc. Yes this should be stickied. That's a good point! You can easily save and edit your history with this plugin. I hadn't even thought of that! Blegh! Pyro, your thread is all sticky. No, nothing else I'm working on at the moment would go into the Advanced menu. I though about putting it with no submenu, but that's just too crowded. I hate having to scroll down that list. Pyro you are a genious, and for cryin out loud, how did you managed to get this algorithm? Really? Hmm.. I'm not so sure. Blegh! Pyro' date=' your thread is all sticky. Awesome plugin. [/quote']Thanks for the sticky. No, it allows you to automate repetitive actions that you do on images. Say you took a set of photos, and they all came out a bit too dark and under-saturated. Instead of running Brightness / Contrast and Conditional Hue / Saturation or whatever steps you took to correct the first one over and over on each photo, you can just automate the process. Big time saver. Not all of the plugins or adjustments allow you to save and load their settings. This plugin allows you to save the settings from any(iirc) of the plugins...WOW! P.s. It's great for tutorials!! !